It is the perfect midnight snack. You know those times when you for some reason are starving and you are not sure why, but you need something now? 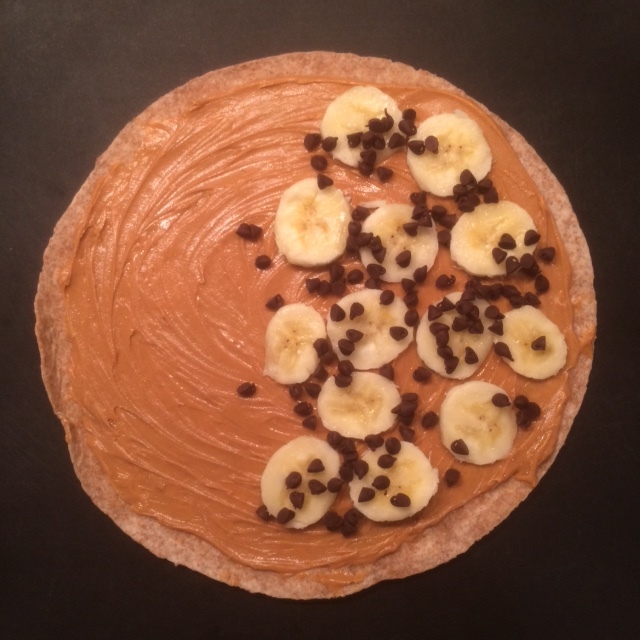 A warm mixture of peanut butter, chocolate, and bananas may just hit the spot. Yum. What is not to love? It is so easy, and takes all of two minutes. It could also be the perfect breakfast treat. Or it reminds me of when you go to a crepe restaurant and you get a savory one and then follow it with a sweet one. 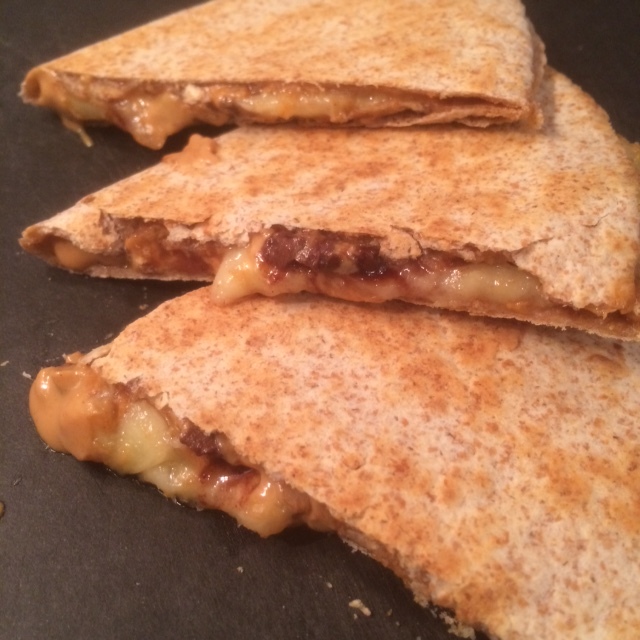 Make a chicken quesadilla and then follow it with gooey peanut butter, chocolate, and bananas. Try it. You will not be disappointed.